Enough of the break, now getting back to the business. I have been using The Ordinary products for over a year and a half and have experienced them enough to spill the beans on their efficacy. Starting a series (kind of) wherein I shall be reviewing all Ordinary products that I’ve got. 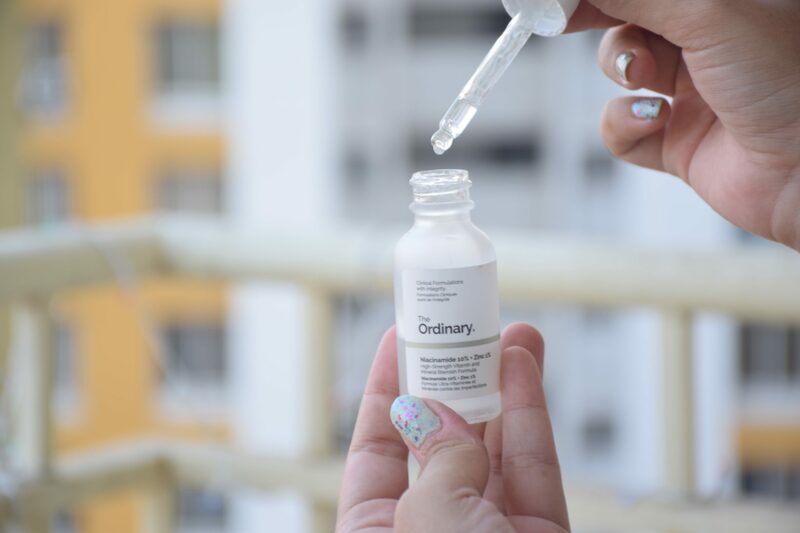 Beginning with the product that introduced me to the brand itself: The Ordinary Niacinamide 10% + Zinc 1%. Price: USD 9.80 i.e. Rs.692 (approx.) and we get 30ml serum. It needs to be finished within 12 months after opening the bottle. Availability: The brand is a little tough to get easily in India but nowadays we have many resellers stocking their products albeit at higher prices (to cope up with international shipping & custom charges). 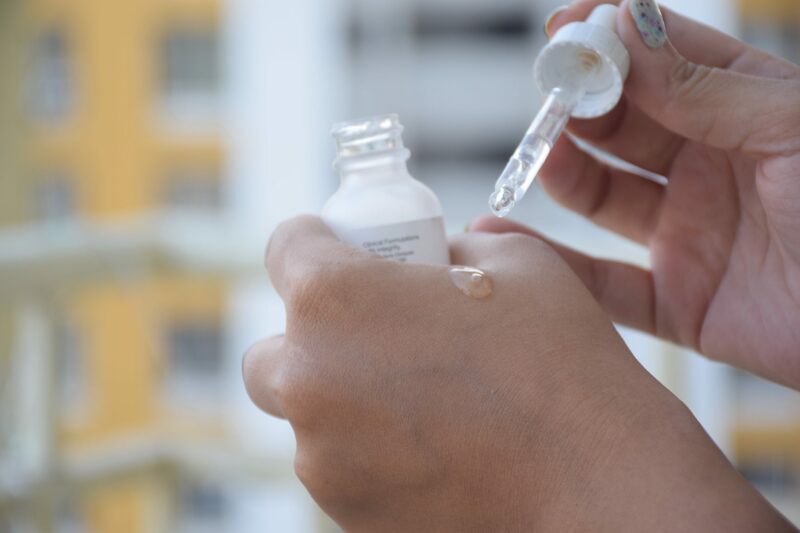 Packaging: This molecular serum comes in a frosted transparent glass bottle (signature packaging of The Ordinary) with a pipette. The dropper mechanism is perfect for such type of consistency and it really controls the amount of product dispensed. The serum consists of Niacinamide as 10% and Zinc as 1% of the concentration. Their percentages are high enough to show visible results. Niacinamide (aka Vitamin B3) has multiple benefits like promoting cell growth in turn fighting skin aging, reducing the appearance of pores, fighting pigmentation and imparting glow to the skin. Zinc provides a kind of self defence mechanism to the skin to protect from UV rays and pollution, helps in regulating sebum production, provides healing properties and prevents pores from clogging up. The entire list of ingredients include: Aqua (Water), Niacinamide, Pentylene Glycol, Zinc PCA, Dimethyl Isosorbide, Tamarindus Indica Seed Gum, Xanthan gum, Isoceteth-20, Ethoxydiglycol, Phenoxyethanol, Chlorphenesin. 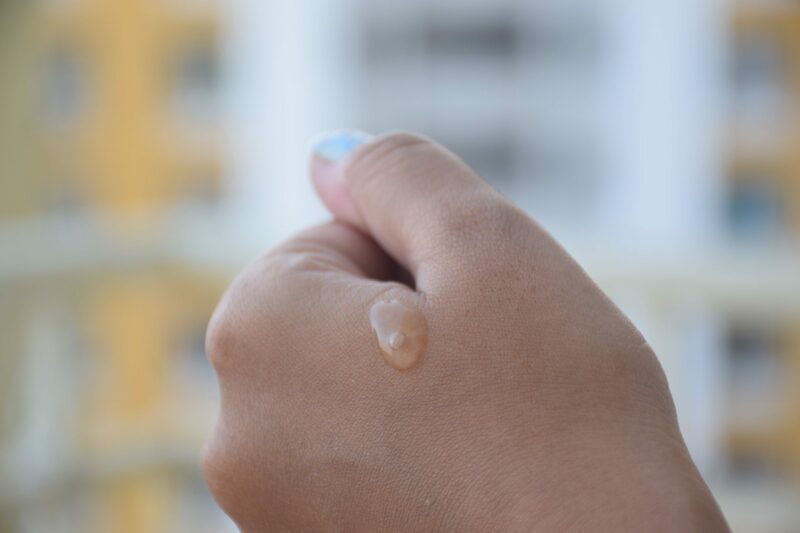 Texture: The Ordinary Niacinamide 10% + Zinc 1% has a texture like that of a thick water which is slightly slimy. The serum gets absorbed into the skin quickly and hence can be used both during day and night times. Though many complained about it pilling up on the skin, I didn’t face that issue at all. But, it does emulsify a bit if applied on damp or slightly moistened skin (turns white as you rub). If you’ve reached this far then you are definitely willing to try your hands on this serum and looking out for reviews. So, let me share my feelings for this. I’ve used this serum almost 3-4 times a week in my PM routine along with a moisturizer. It did show results but it took a long time to be visible. I started to notice improved skin texture, less gloppy sebum and healthy skin only after 5-6 months of usage. If you are looking out for an instant fix then this is not for you as you might feel disheartened real quick. Also, the time taken to show results will vary from person to person. 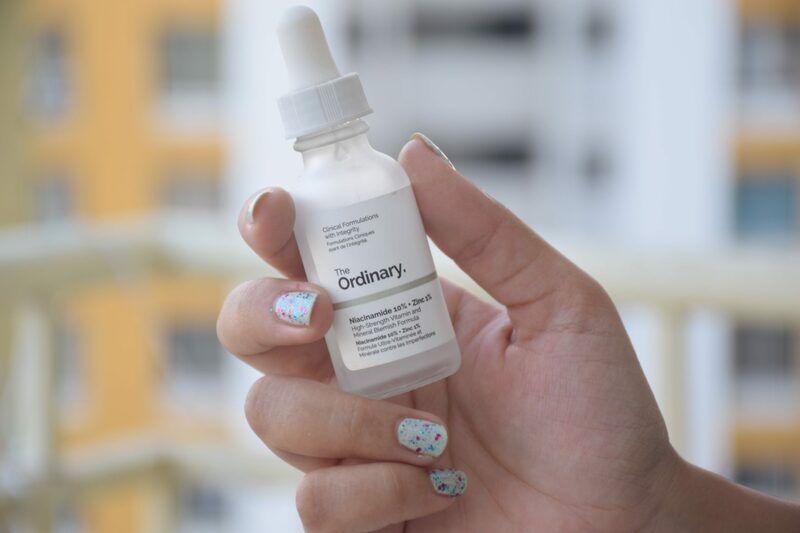 If you are new to actives and want to include them in your routine then I recommend you start with The Ordinary Niacinamide 10% + Zinc 1% which is not going to irritate the skin and is effective. Certain actives are not meant to be used together while there are some which should be used only during a particular time of the day. I suggest you check out the Regimen Guide suggested by The Ordinary and include their products in your routine accordingly. Concluding my thoughts here. I hope you liked my review and if you did, do consider subscribing to my blog. Show some love by liking, sharing and commenting your views/thoughts. Until next time, stay beautiful & keep smiling! Been hearing great things about it, it is sort of an iconic product..but it takes so long to show results, makes me a bit confused on whether to try it out or not!